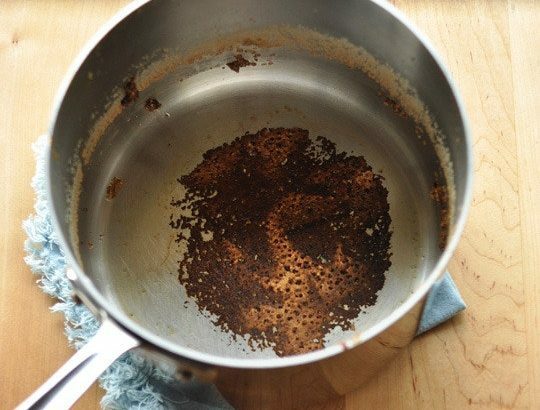 It’s happened to everyone of us at some point, our pot just burned leaving thus a stain that can be very difficult to remove. In pots without teflon this occurs with greater frequency by what is suitable watch the cooking of certain food and avoid using them to make preparations as eggs fried, tortillas and rice. But once the damage is done do we can solve it? Of Yes, course, so in Dinzie we give you some tips and tricks so you discover how to clean burnt pots and do not spend you life scrubbing in vain. 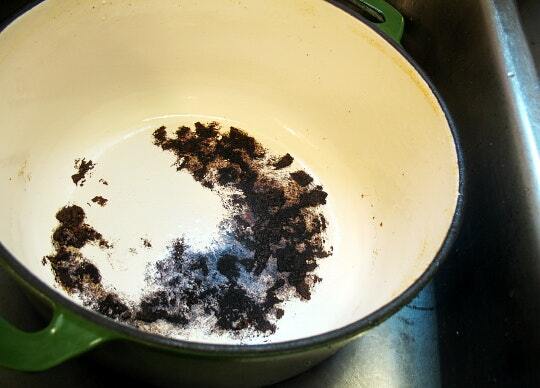 To detect that your pot is burned you should remove as much food as possible and then thoroughly rinse. Then have that boil enough amount of water as for cover well all the area burned, once the water has reached the point of boiling, with much care, pour it in the pot affected and leaves stand during 20 minutes. The heat will help to soften all that that is has stuck including the surface burned. Then you have to carefully remove the hot water and washing your pot as you do it regularly but preferably using a sponge to eliminate possible residues of Burnout that may be hard. If despite follow these steps the pot still continues very burned, must fill it of water and add a bit of dishwasher, then put to boil to fire low during ten minutes, elapsed this time turns off and leaves stand 20 minutes more. After this you can remove the water and wash normally to remove the remains. If there is still some rest you can repeat the above procedure, however if the Pan is Teflon and much of the material has been scraped or deteriorated recommendation pull the pot / pan as it is not advisable for our health to use this product in that State. 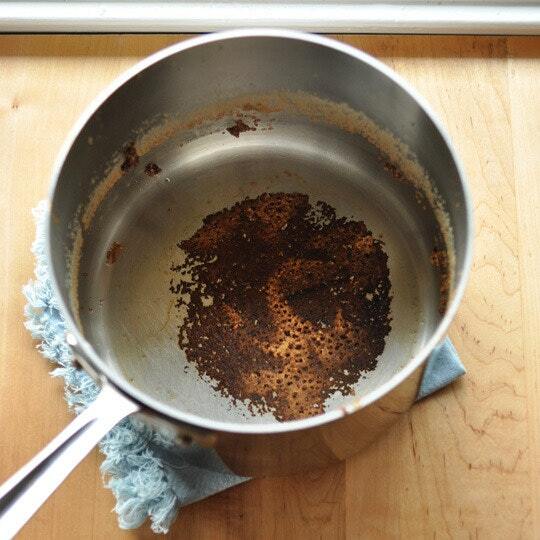 Clean our pots is also important for maintaining in perfect condition and prevent food from sticking to them. 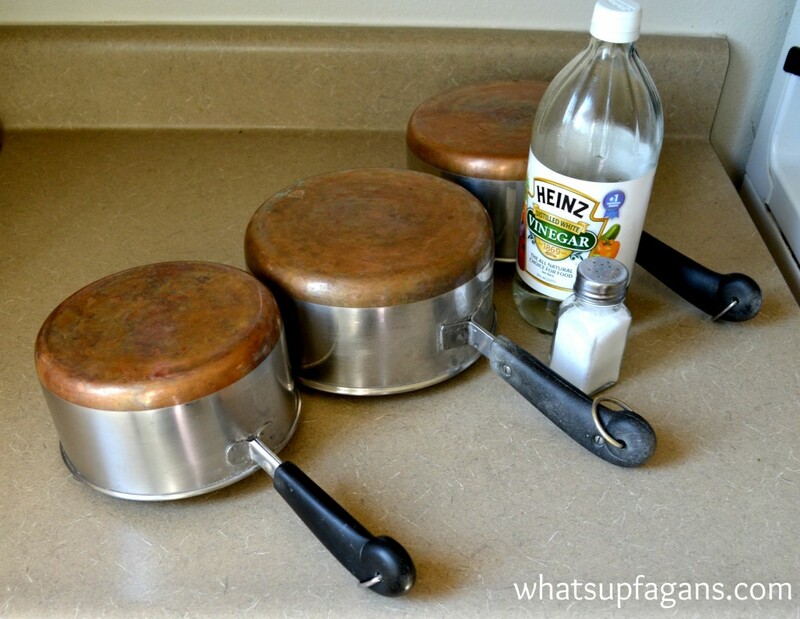 To clean the steel pans is recommended to make a mixture of baking soda and warm water, apply it in the pot and leave to act for ten minutes before washing normally. 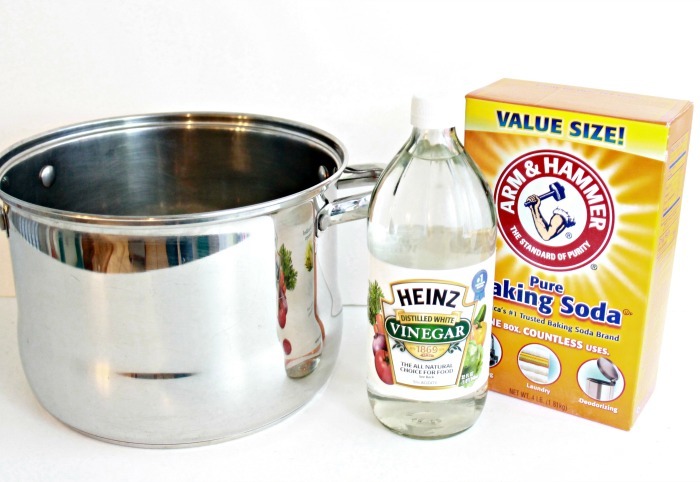 In addition to remove waste fat that remain attached to the material you can add water to the pan with a splash of white vinegar and bring to boil, when it breaks at boiling point turn off and let stand for 20 minutes, then wash normally.